First start thinking about how much is costs you to drive. If you’re getting around 20 MPG and gas costs $4.00/gal, you’re paying approximately 0.20¢ per mile. This may seem like a small number, but it adds up quickly, especially if you’re doing a lot of driving. If you drive 20,000 miles per year, you’re paying about $4,000 just for gasoline! Now let’s suppose you can increase your mileage by 20 percent just by keeping your tires properly inflated. Would you do it? Twenty percent may not seem like a big deal, but let’s look at the numbers. A 20 percent increase would mean that you’d get around 24 MPG. Assuming the same gas price and total miles driven, you’d end up paying around $3,330 for gas in a given year, saving yourself about $670. Not bad for a few minutes worth of work every time you fill up. Another gas guzzling habit is racing the engine. Sudden accelerations, such as a dead stop to get around another car, just demolish your average MPG. Some newer cars will show the instantaneous MPG on the dashboard display. If you drive one, check out what happens to your fuel economy when you gun the engine; you’ll be amazed. My car has a tachometer (a gauge to display engine speed in RPM) and I’ve found I get the best mileage when I can keep the engine under 2,000 RPM. Excessive speed can also ruin a healthy fuel economy. You will get more miles to the gallon at 60 miles per hour (MPH) than at 80 MPH. This is because of drag. As your car moves, it has to push the air in front of it out of the way. The faster the car moves, the faster it has to push. Newton’s Law of physics says that for every action there is an equal and opposite reaction. So when the car pushes on the air, the air pushes back. The harder your car pushes, the harder the air pushes back. This push-back by the air is called drag, and it increases exponentially with speed. And while we’re on the subject of drag, lose any roof or bike racks and keep your windows closed above 35 or 40 miles per hour; use the vent or air conditioning (set on low) instead. Another thing to consider is excess weight. Get rid of it. Imagine if you had to carry a 50-pound backpack everywhere you went. You would have to burn extra calories to handle the load. The same holds true for your vehicle. Say your car weighs 4,000 pounds: If you have 200 pounds of stuff in the trunk, your engine has to work 5 percent harder to move the same distance and speed. Carry with you only what you need. If you can afford one, I would also recommend you get yourself a reliable GPS (global positioning system) device. I bought one a few months ago for about $200 and it is well on its way to paying for itself. Most of the major highways in and around Chicago, Illinois are under construction and as such, traffic is worse than ever. My GPS, however, can be set to avoid highways and find me the fastest route to my destination when traffic is bad. I can also set it to avoid toll roads if I want. The biggest advantage of the GPS however is that I can now easily find a client’s house (especially if they are a new client), regardless of how unfamiliar I am with the area, even at night or in foul weather. Another suggestion I have is to coast as often as is prudent. Simply take your foot off the gas, shift into neutral and coast. I’ve found this works best when going downhill, approaching a red light or stop sign or exiting the highway. Please note that this, like all of the suggestions in this article, should not be attempted if traffic, weather, pedestrian or other immediate concerns are present. You still need to exercise sound judgment at all times when behind the wheel. You can also save a bit on gas by going to the cheapest stations. “But Joe, how do I find the cheapest stations?” I can hear you asking. There are a few Web sites that post current gas prices at local stations. The one I’ve been using is www.gasbuddy.com. I always make sure to check it before I fill up. The last tip I have for you is to keep an accurate mileage log in your car. If you do a lot of outcalls or even if you are an independent contractor and work in only one location, you can deduct the miles you drive for work on Schedule C of your income taxes. This is a legitimate business expense and as such, you get a tax break. My only advice here is that you seek the guidance of a qualified tax professional for the best way to set up and maintain your mileage log. For more information about increasing your fuel economy, check out the article “Beating the EPA – The Why’s and How to Hypermile” at http://www.cleanmpg.com/. It goes into much more detail and has many more tips than I could relate here. 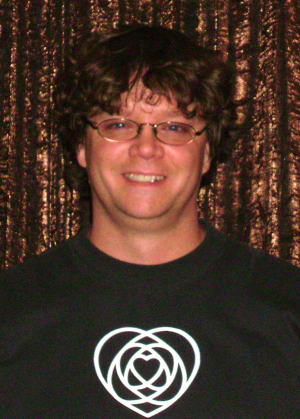 Joe McCue is a licensed massage therapist, small business coach and mechanical engineer based in Chicago. For more information about Joe, visit his Web site at www.AnotherGloriousDay.com.